$10 off every $50 you spend at MAC Online – perfect time for me to get a few brushes! 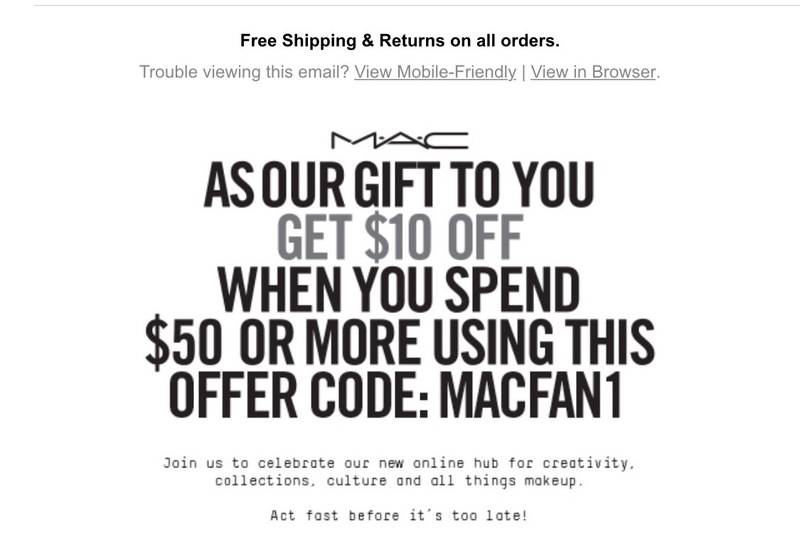 So, MAC Cosmetics just launched a new website redesign and they’re doing something they’re not at all known for – they have a coupon code going on for $10 off every $50 you spend, plus, you can chose from 3 free samples. (Hey, with free shipping, why not make separate orders and try different samples?) 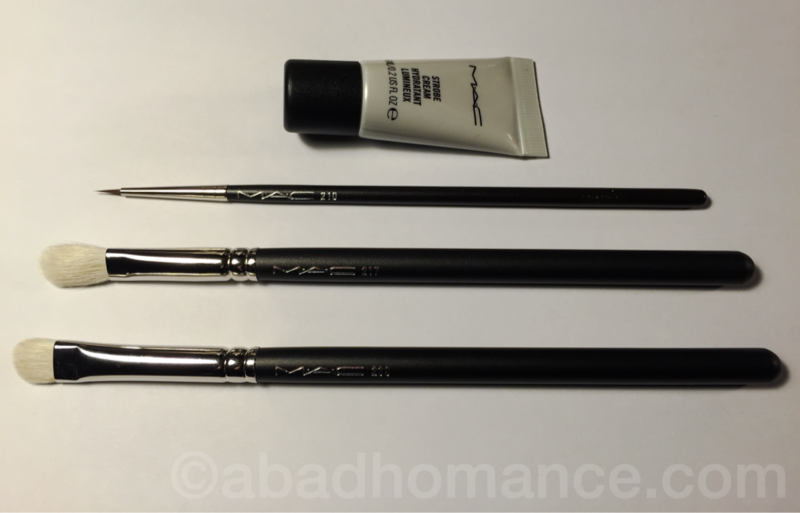 I had just sold a few things on eBay and decided this was the time to replace the 210 super-extra-skinny eyeliner brush (Ok, I made up that name) and try 2 eyeshadow brushes I always wished I had – the 217 Blending Brush and the 239 Eye Shading Brush. I picked a sample of Strobe Cream and got $10.00 off my order! For many of you, these shadow brushes are already staples; however, I still feel I should do a review on these later. Just feeling them in my hands, they are about 300,000 times softer than the Crown and Makeup Geek brushes I’ve been using – although we know that doesn’t necessarily mean better, so the proof will be in the test! I had already used the 210 liner brush…for so many years, actually, that I killed it dead. Welcome home, new 210. Nobody makes a brush as skinny as you. I shall never stray again! Here’s the code! It’s good until 11:59 on June 22. Bargain Alert! 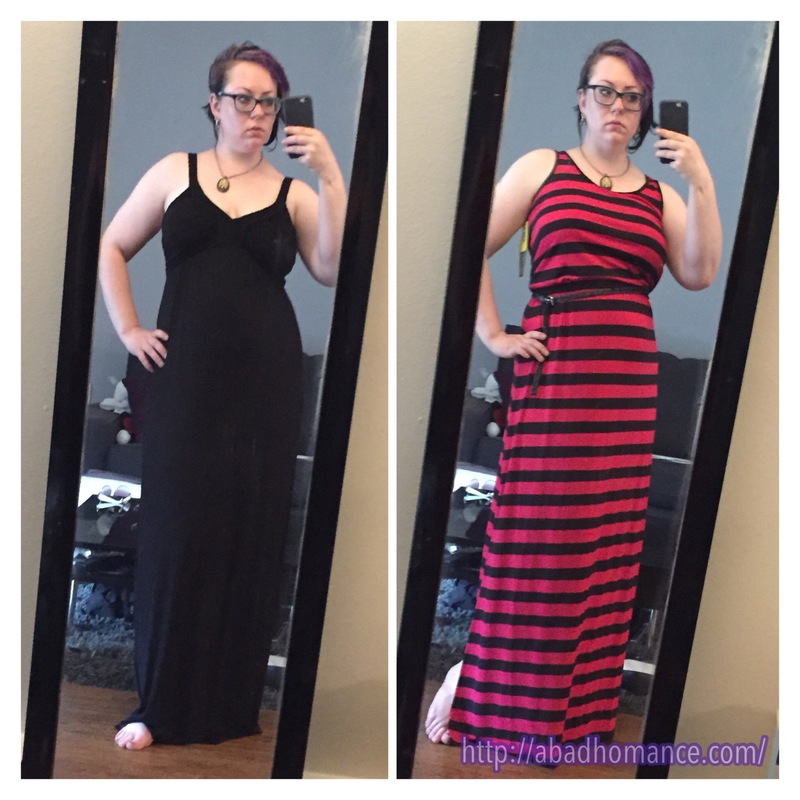 Costco has Maxis! But at $17.50 or so each, these are a steal. Some of the available colors are above but there’s a heavy emphasis on stripes. They are made of soft knit fabric that is just perfect and breezy for summer, but I bet a sweater or hoodie would make them lovely for spring or autumn. I’m going back for more! 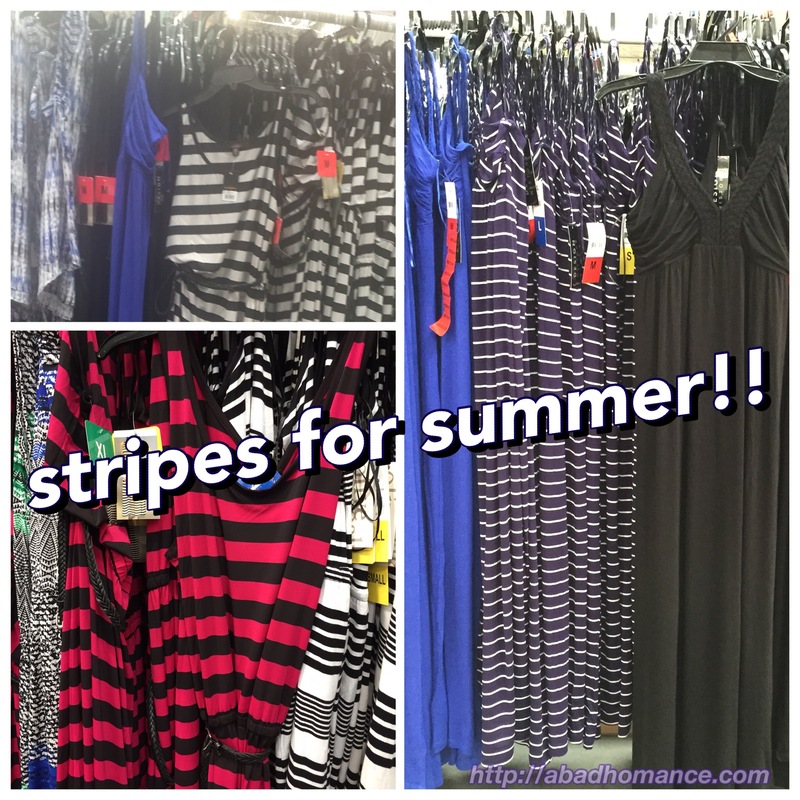 I never miss an opportunity to stock up on stripes – fun, flattering, and a little edgy! 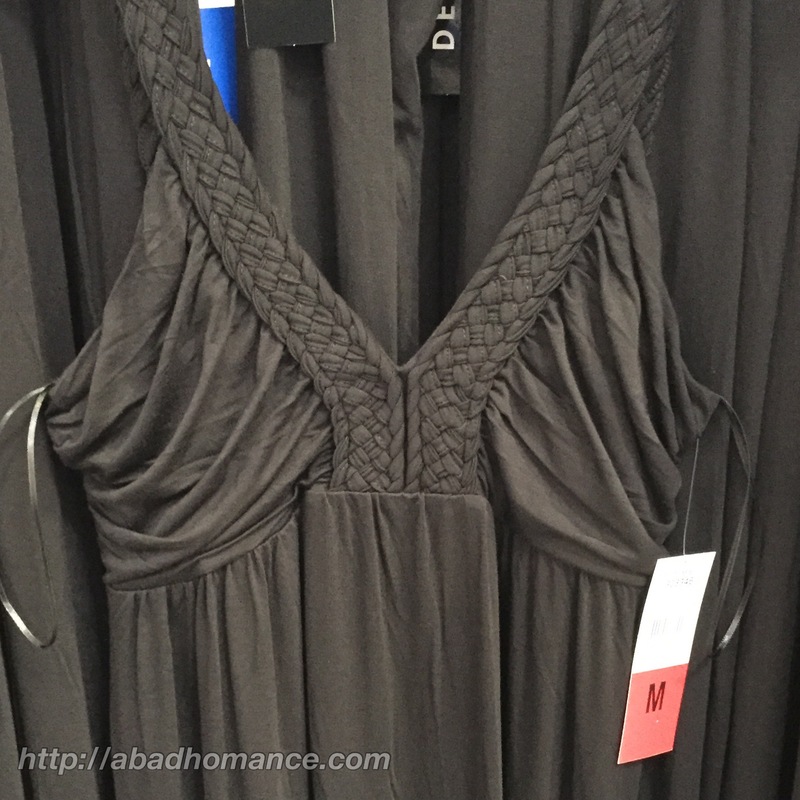 Of course the solid black ones are timeless flattering looks too… Look at that awesome braided and gathered neckline! Being that it’s Costco and their inventory changes, your store may not carry them. And if they do, jump on it! They might be gone next time!